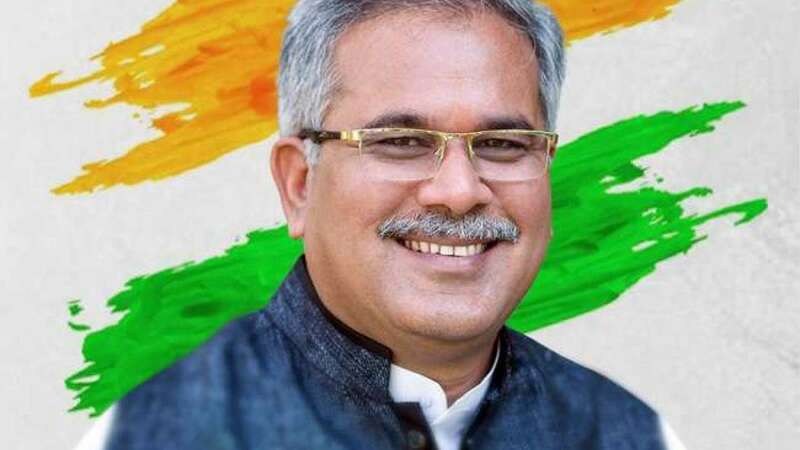 Raipur : State Congress President Bhupesh Baghel, credited for powering the Congress to a landslide victory in Chhattisgarh, was on Monday sworn in as the third Chief Minister of the state, bringing to an end 15-year rule of the Bharatiya Janata Party (BJP). Baghel, who represents Patan Assembly constituency in Durg district, was administered the oath of office and secrecy by Governor Anandiben Patel in the presence of Congress President Rahul Gandhi, former Prime Minister Manmohan Singh and former Chief Minister and BJP veteran Raman Singh. Among others present at the ceremony were former Jammu and Kashmir Chief Minister Farooq Abdullah, Loktantrik Janata Dal party leader Sharad Yadav and Jharkhand Vikas Morcha chief Babulal Marandi, besides a host of prominent Congress leaders. Congress veteran Ashok Gehlot, who was on the day sworn in as the new Chief Minister of Rajasthan, was also present along with his deputy Sachin Pilot and Jyotiraditya Scindia, the Guna MP from Madhya Pradesh. After the swearing-in ceremony, Gandhi took to twitter to thank the people of the state and vowed to build a "new Chhattisgarh". "We will work shoulder-to-shoulder to build a new Chhattisgarh. Farmers, youth and women will have a special claim to this government," said Gandhi expressing his gratitude to party workers and leaders for the hard earned victory. Made the state party chief in October 2014, Baghel led from front in scripting the rout of Raman Singh-led BJP in the tribal-dominated state, where Congress won 68 seats in the 90-member Assembly. Baghel had taken over the reins of party nearly a year-and-half after the top state leadership was wiped out in a Maoist attack in 2013, including the then state unit chief Nand Kumar Patel and party veteran Vidya Charan Shukla. A powerful leader of the OBC community, Baghel was a Minister in Digvijay Singh's cabinet in undivided Madhya Pradesh and later became a Minister in Ajit Jogi's government after Chhattisgarh was carved out of Madhya Pradesh. Launching his political career as a student leader, Baghel was elected to the undivided Madhya Pradesh Assembly for the first time in 1993. The 58-year-old Baghel was on Sunday elected the Congress Legislature Party leader by the MLAs. He was also embroiled in a controversy during the build-up to the Assembly polls when the CBI charge-sheeted and arrested him for his alleged role in the circulation of a sleaze CD allegedly featuring a BJP leader. In 2017, the Chhattisgarh Economic Offences Wing (EOW) had registered a case against Baghel and members of his family for allegedly allotting plots meant for people from lower income groups, to his wife and mother. Baghel, during his campaigns had dismissed the charges as "BJP's political vendetta".